I've heard so many good things about this and then it became an Amazon freebie. What an amazing and fun adventure this was. It was so magical and whimsical...I could hardly put this down. I finished this story after a couple of sittings. I for sure want more. The story follows Astrid and Bjorn. 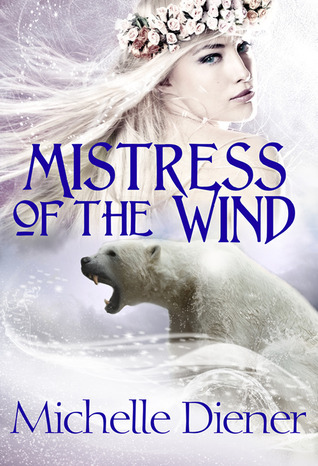 Astrid is a peasant girl who has a strange connection with the wind. Bjorn is a lord who is cursed by a troll and must find his true love in order to save himself and his people. The best part of this book was the fact that Bjorn saved Astrid, but Astrid saved him. No damsel in distress and that made it even better. In the end, they are equals. I do think that Astrid's journey was the best and her story was the best I think. I loved the world and characters. I want to learn more about this world and what it has to offer. I especially want to learn about the other Hags in more detail who helped Astrid master her gift. This was a good one and I do recommend this one. It is a very good retelling and it is written well. The characters and world was fun. Out of five stars, I'll give this 5 stars. Super good! I want more.